← Villa d’Este gardens: Arrivamo a Montepulciano! We’re still in a daze from our travel day and just being in this beautiful place, but for dinner we walked down the street to a recommended restaurant, Osteria Gattavecchi. It’s behind the Santa Maria church in an old monastery. 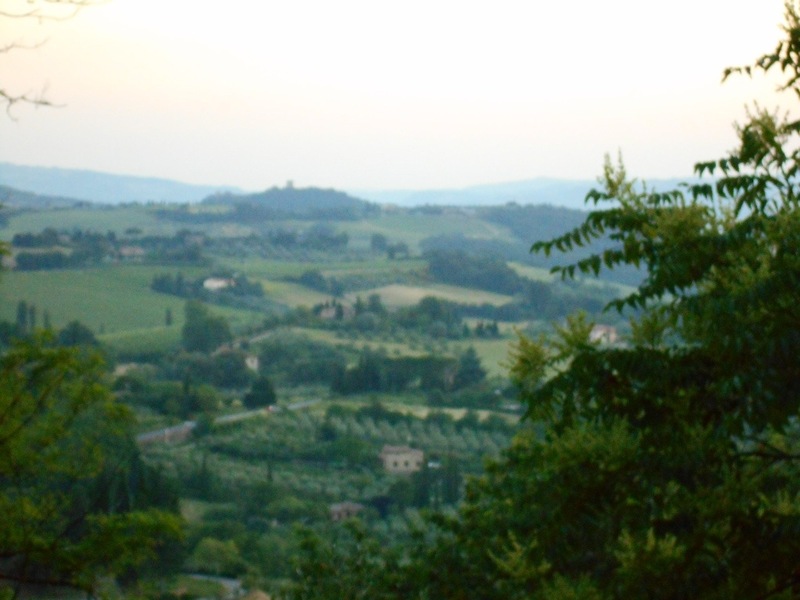 We sat outside with beautiful sunset views and drank the house wine, which was the family’s Vino Nobile, THE type of famous wine in Montepulciano. Our waiter, Maurtizio, said his family has had a winery in the region since 1952. It was wonderful! For dinner we had homemade taglietelli noodles cooked in Vino Nobile with a pork cream sauce. Molto buono! They’d also just concluded a cooking class, and we got to taste the one last egg with ricotta and asparagus, fried. I think I might become a foodie! And our dinner was so inexpensive, I couldn’t help but leave a large tip. 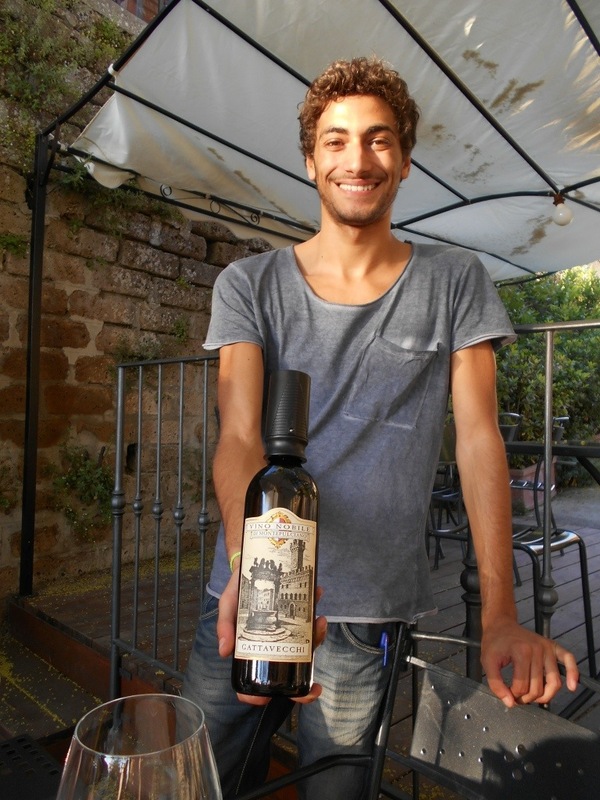 This entry was posted in Uncategorized and tagged Montepulciano, Osteria Gattavecchi. Bookmark the permalink. Wonderful views, beautiful apartment, amazing food and wine – what more could one want!? 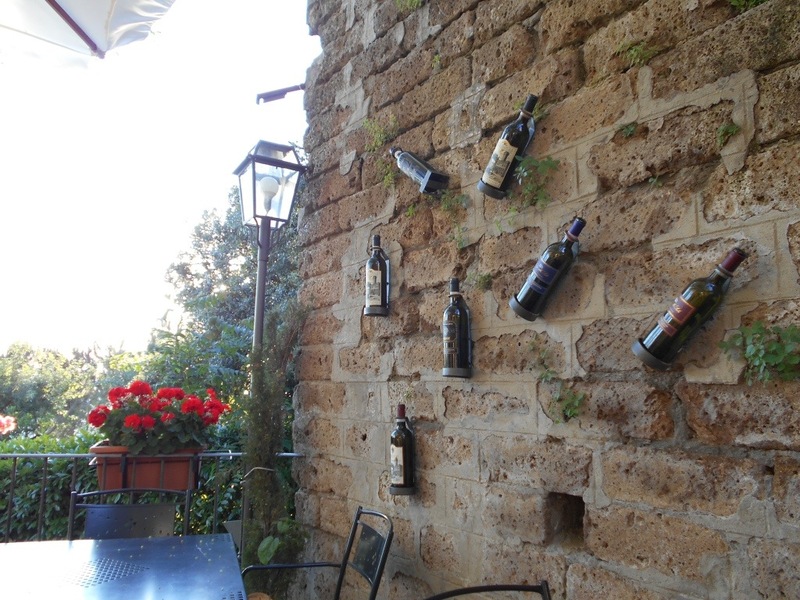 Montepulciano will be on the itinerary of our next Italy trip! If Italy can’t turn you into a foodie, NOTHING can! You are SO right! and the price is right. 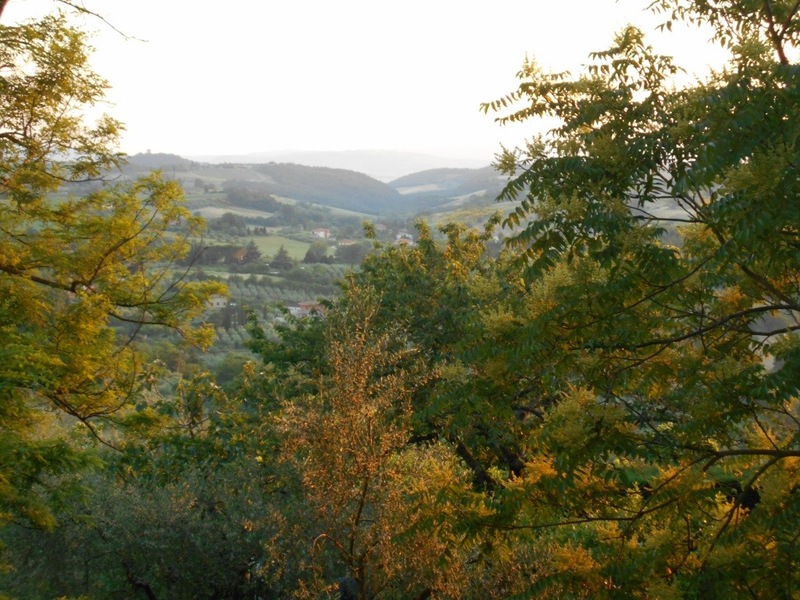 Get this: five glasses of the family’s Vino Nobile, the special egg, three pastas with pork and cream sauce, grilled vegetables, a salad, Tuscan beans, the best view, and the bill? 65 Euros! We must take a couples trip here soon! From your first posted pictures earlier–WOW! Amazing photos with all of the fountains!! And, your apt. is just gorgeous in every way. You will have a wonderful time!! How was the driving? From post 2–I guess I would tip well too–that waiter is just adorable! Your dinner sounds delicious, and the rest of the photos are lovely. It’s really fun traveling vicariously with you all!! And I can’t wait to read your blog from Verona, Lake Garda, and Venice! But I can wait because then my trip will be in the past. I wish Caroline were here to go out with Mauritzio!